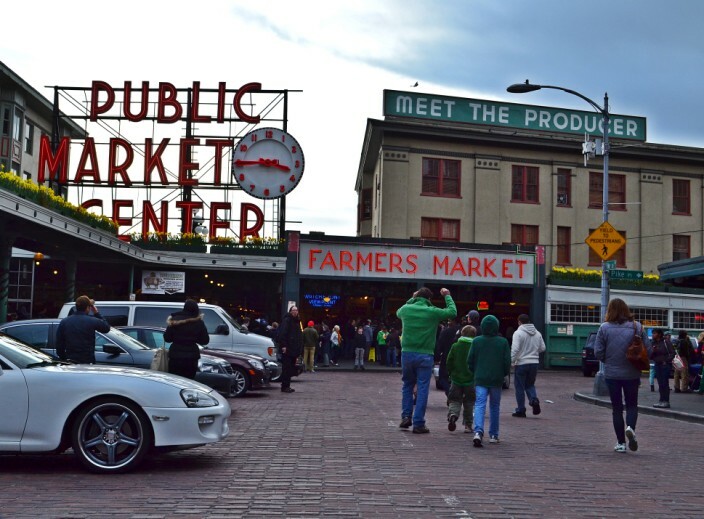 Seattle’s Pike Place Market is one of those iconic spots that, much like the Space Needle, every first-time visitor to town wants to see and experience for themselves. 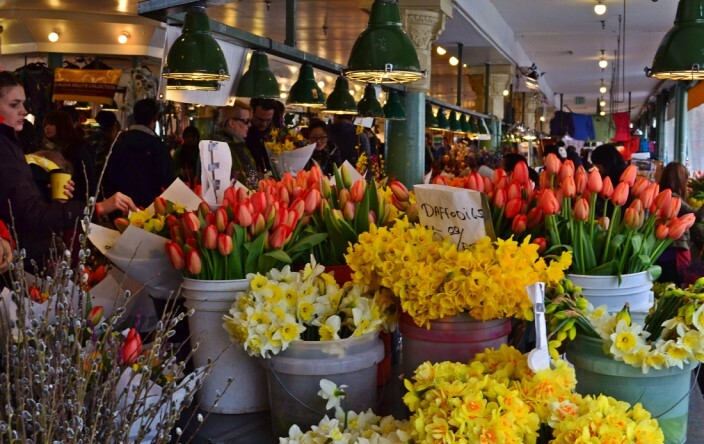 Sure, it’s overrun with hordes of gawking tourists – especially on weekends – and has become far more tourist trap than the erstwhile farmer’s market it originally began life as a long, long time ago. But with the right attitude it can still be a lot of fun, a place pulsing with energy and color and noise, a labyrinth of shops and stalls and vendors, street performers of every stripe, one-of-a-kind exhibits, the smells of fresh flowers and fish and foodstuffs both local and from all corners of the globe mingling amidst a gigantic percolating stew of humanity that threatens to boil over at any moment. 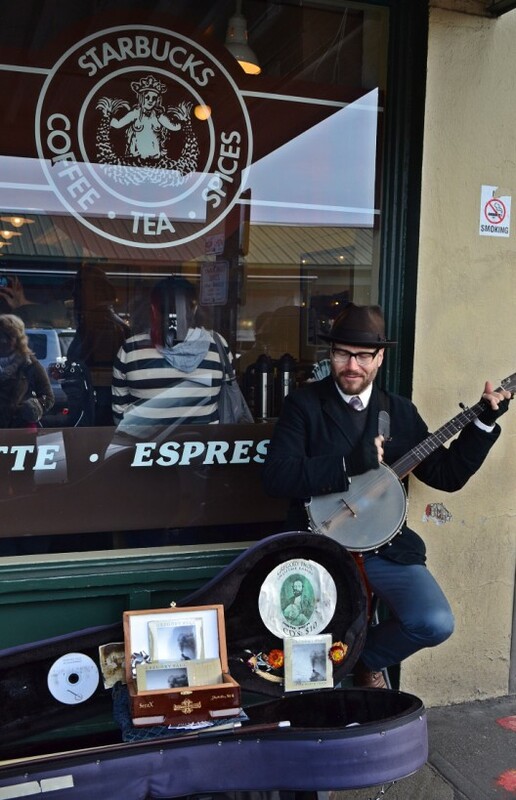 There’s never really a bad time to visit the Pike Place Market, and to prove it we recently decided to pay a visit on a March weekend which just happened to coincide with a certain wee little holiday the Irish like to celebrate on the 17th. 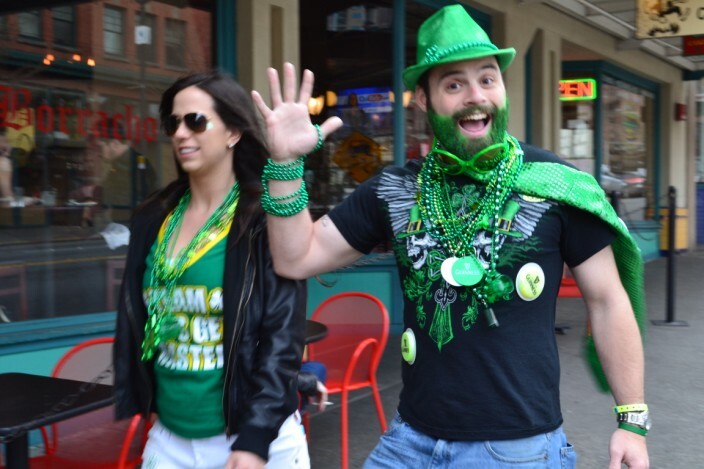 Yes, it was St. Paddy’s Day in Seattle, and the very same downtown district where the Market is located is also home to a number of Irish/Celtic themed pubs. So you had the Market hordes versus the pub crawlers, but not in any true adversarial sense. However, it did make for some even more colorful than normal scenes. Throw in the usual homeless/street beggar/wino folks who also populate the area and you truly could stand just about anywhere and see the full panoply of the human condition parading past. 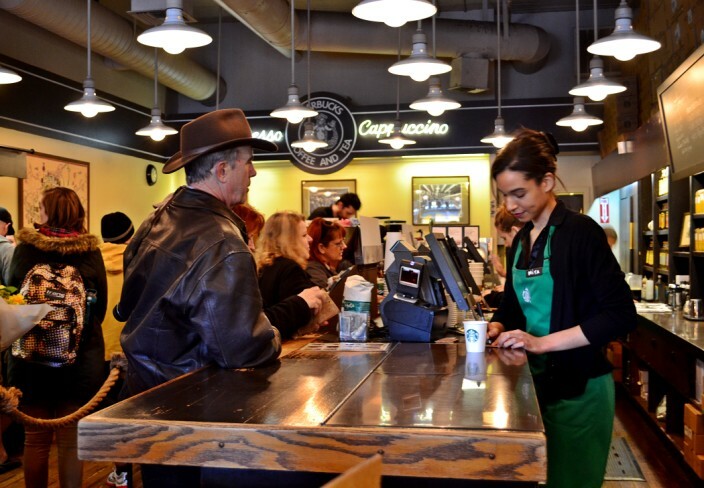 One of the most popular things to do around the Market is standing in a really long, slow line in order to slog through the very first, original, numero uno Starbuck’s location. Yep, that’s right, Big Daddy Starbuck’s began life right here in the Market away back in 1971, long before any of the baristas tending those humungous lines were born. 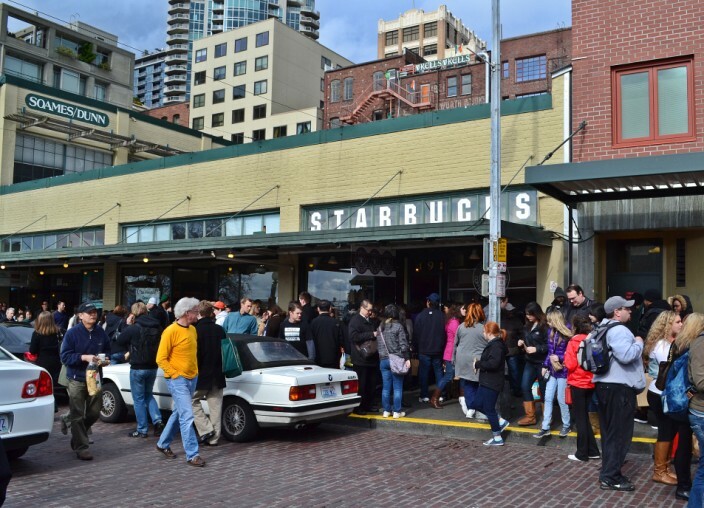 And like Moslems to Mecca, the caffeine worshipers and java junkies flock in droves to see the modest little storefront where Howard Shultz’s Mama dollar and Papa dollar got started and multiplied themselves into billions. 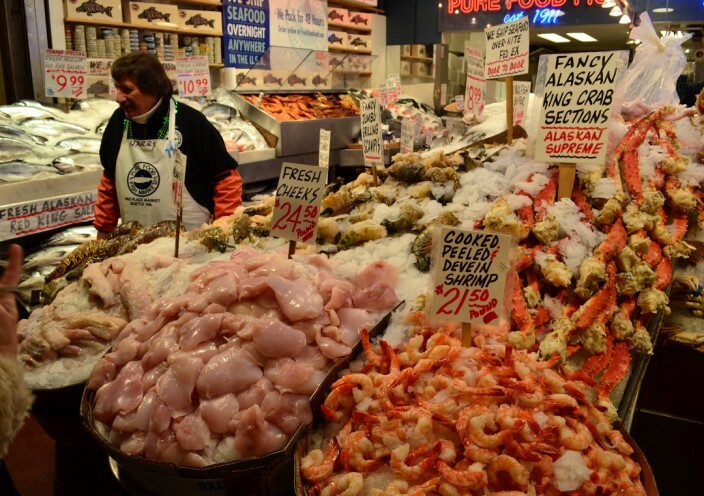 The heart of Pike Place is, of course, the farmer’s market section. 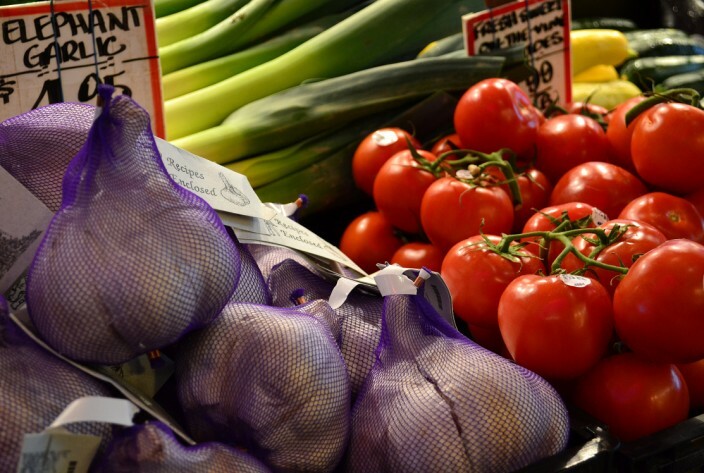 Here you will find every kind of produce you could possibly want to stock your kitchen with. 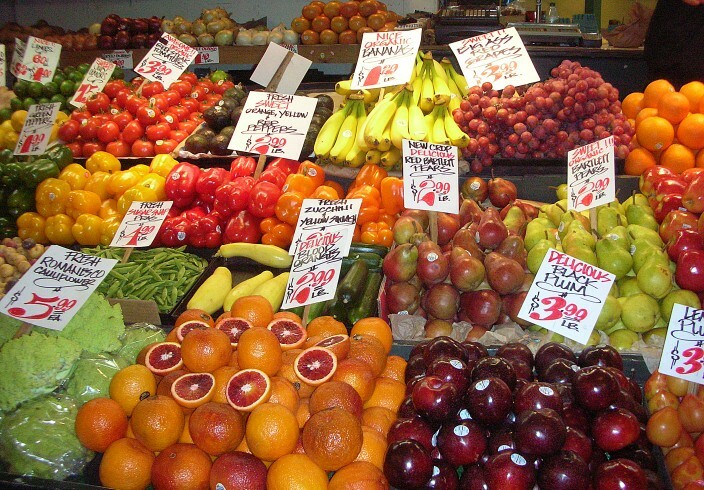 Just don’t expect the prices to compete with the produce section of your local supermarket. Things can be a little pricey down here, but the sellers will tell you that’s balanced by the fact it’s all brought in fresh every day. 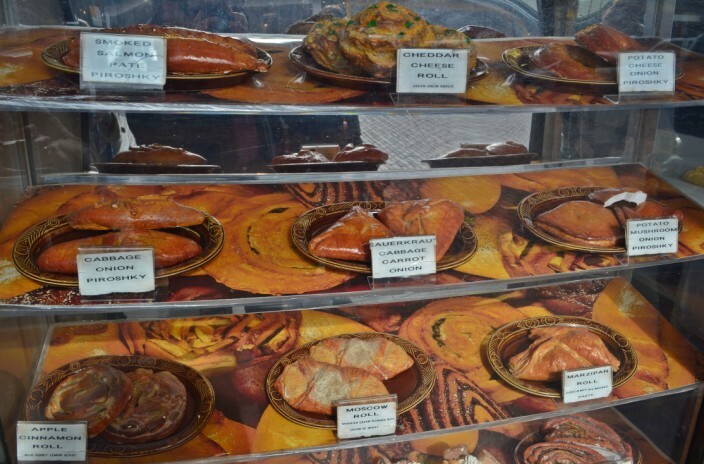 Ditto for the many fresh fish and seafood shops. You pays your money and you takes your choice. 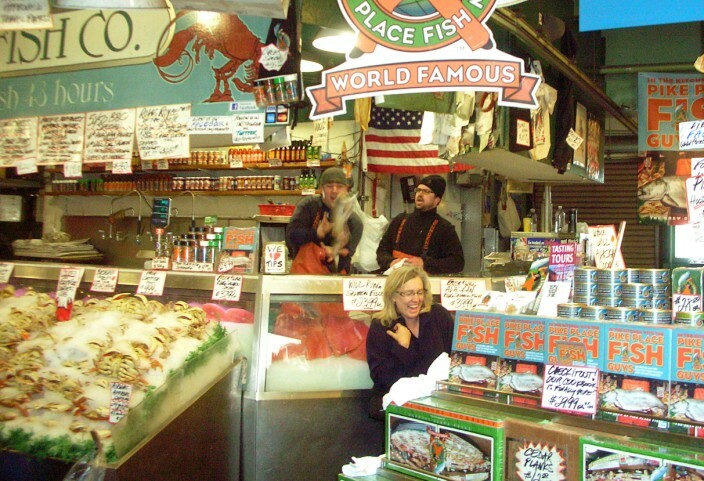 And if all that isn’t enough, you can have the famous flying fishmongers heave a king salmon over your head. Don’t worry, I’ve never seen them hit anyone yet, and if the fish should accidentally brush your head, they’ll wipe the scales out of your hair afterwards with one of their slimy fish towels. So what else is there to do and see besides dodging the flying fish and tanking up on overpriced lattes? You name it, you can probably find it somewhere in the market. There is every manner of souvenir shop known to man, cheap t-shirts, expensive t-shirts, tie-dyed t-shirts, used t-shirts, gew-gaws, knick-knacks, head shops, book stores, cafes and restaurants, tea shops, spice shops, hand-crafted clothing, leather goods, metal goods, about fifteen dozen hand-made jewelry sellers, and all this in literally hundreds of small stores and stalls selling more stuff than you could ever see in one day. Free parking in abundance? Not down here. Drive down to PPM at your own risk, where parking is exorbitant and scarce. Climate controlled? Nope, unless you mean controlled by mother nature. 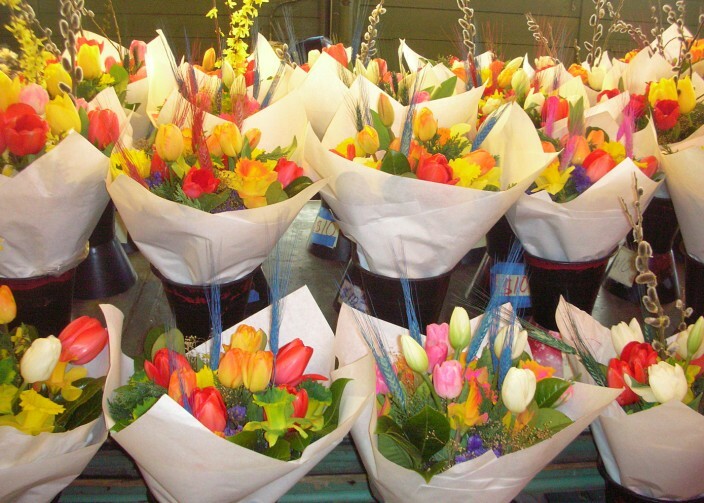 If it’s cold, damp, and drizzly outdoors – which it so often is in this part of the world – then you’ll soon be feeling those damp, clammy fingers wrapping themselves around you and settling into your bones as you peruse the vendors stalls. Acres of pedestrian concourses and big-box department stores the size of aircraft hangars? Not a one. PPM is strictly a mom and pop small-shop, elbow your way in and out kind of place. And that’s how people like it. 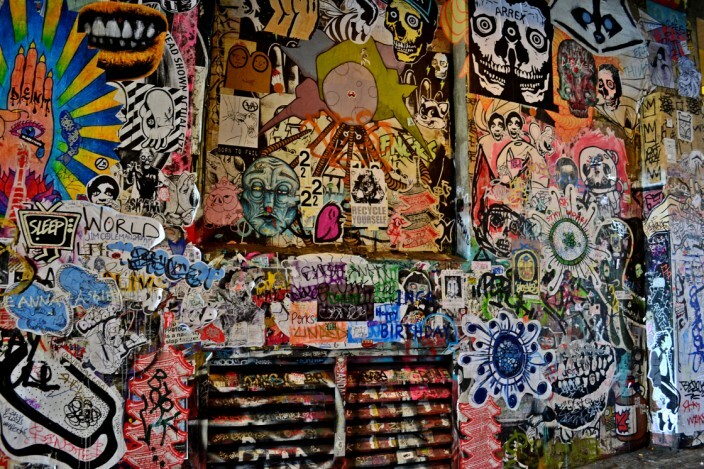 One of the truly unique attractions in Pike Place Market is the Gum Wall, which is exactly what it sounds like. 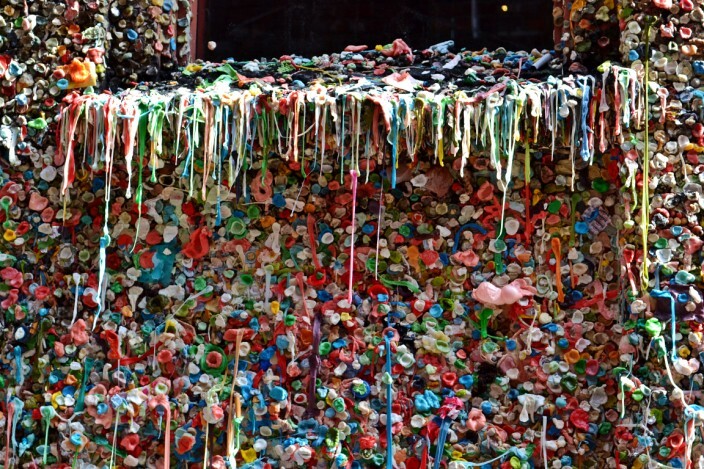 Wander down Post Alley beneath the main level of the Market – there are signs directing you – until you find a brick wall smothered with a rainbow of chewed-up gum wads, so many that you really can’t see the bricks. It’s a little bit disgusting and jaw-dropping at the same time. Don’t know how or when it got started, but it continues to spread like some out of control though mostly benign bacteria. At its present rate of growth I predict it will engulf the entire market by the year 2020. That’s Pike Place Market in a nutshell: funky, unique, a little dirty and smelly around the edges, weird and wacky and cool and there’s definitely nowhere else quite like it. 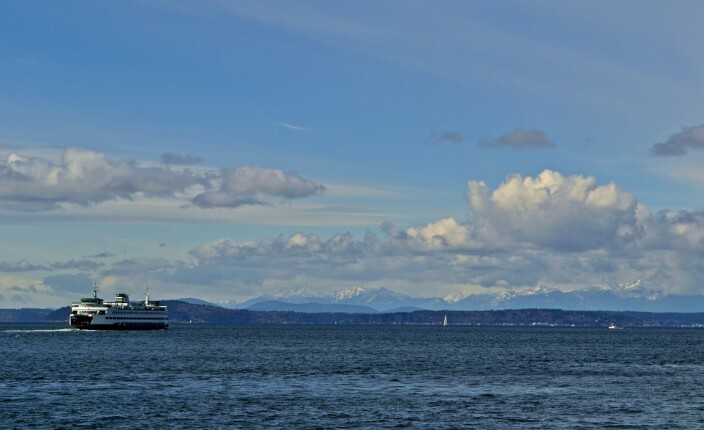 If you come to Seattle you’d be doing yourself a disservice not to visit. 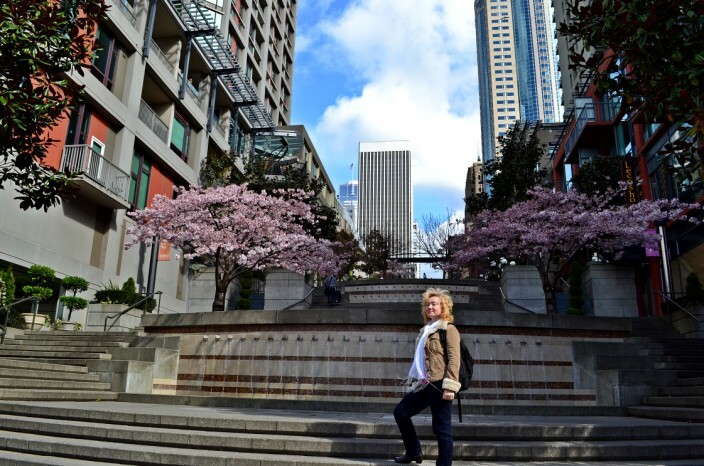 If you’re in the Pike Place Market area and have the time, you might as well stroll on down the hill a few blocks and amble around the waterfront, too. 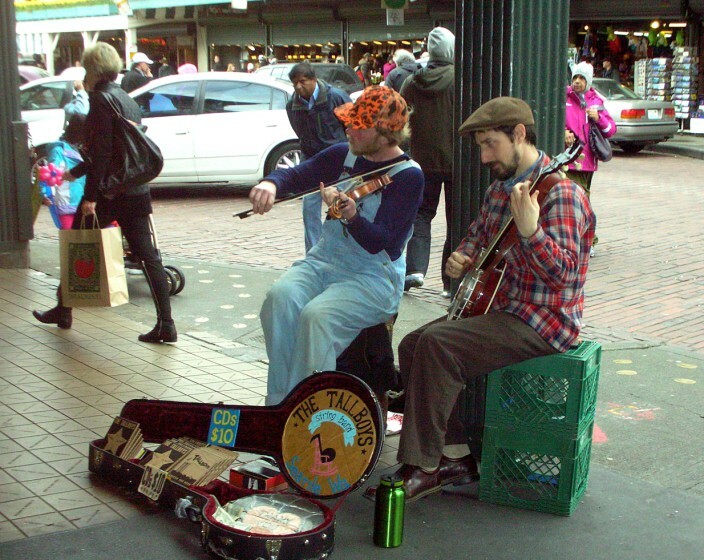 It’s another area that’s quintessential Seattle. 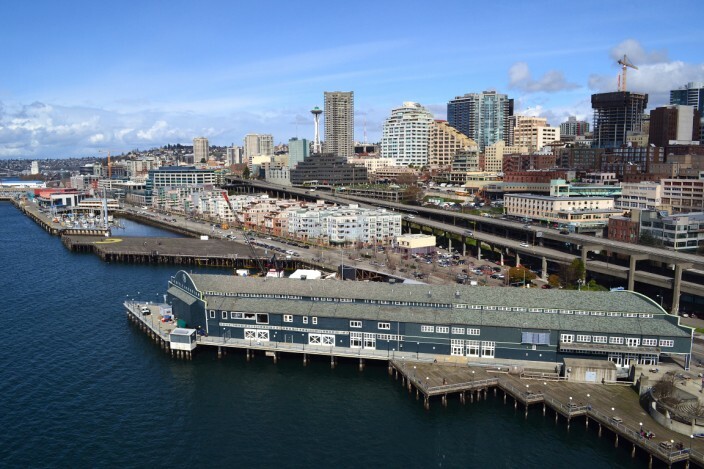 There’s the Seattle Aquarium, loads more shops to peruse and fish bars to grab some fresh fish and chips, the ferry dock, and the latest Seattle attraction, the Seattle Great Wheel. 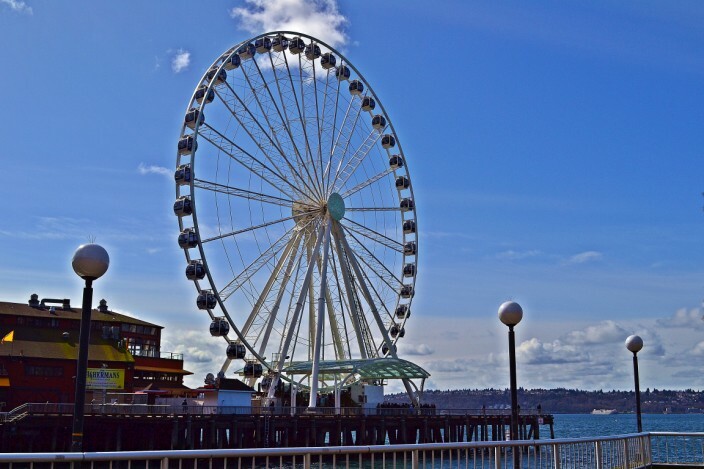 Opened in June of 2012, it’s one of the largest Ferris wheels in the country, featuring 42 climate-controlled gondolas which lift you at a stately pace to a height of 175 feet above Puget Sound. 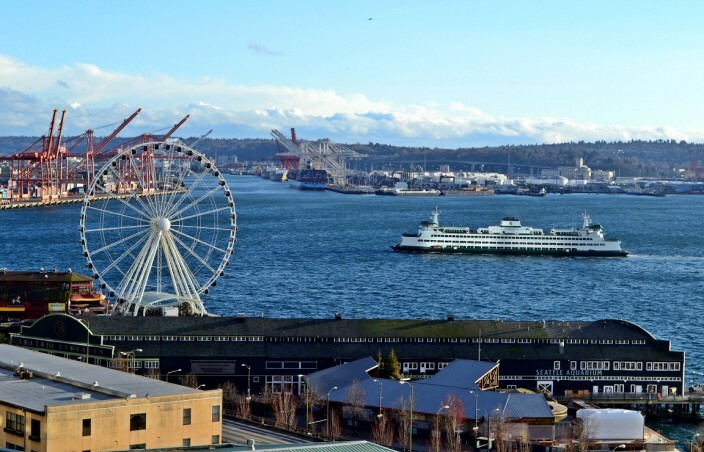 The Wheel offers great views of the Olympic Mountains to the west, downtown, the Market, and the Space Needle in the distance. 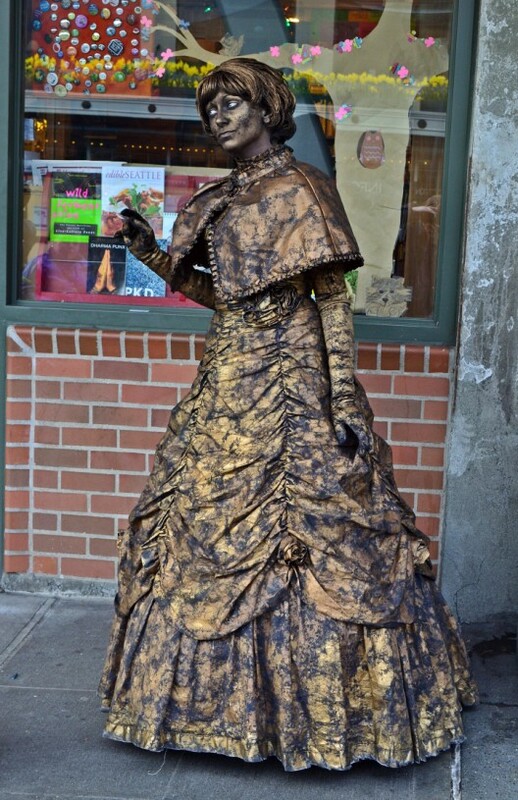 At fifteen bucks per adult, it’s not cheap but it is a fun ride and a different perspective on your time along Seattle’s historic and bustling waterfront. Thanks Ashree. 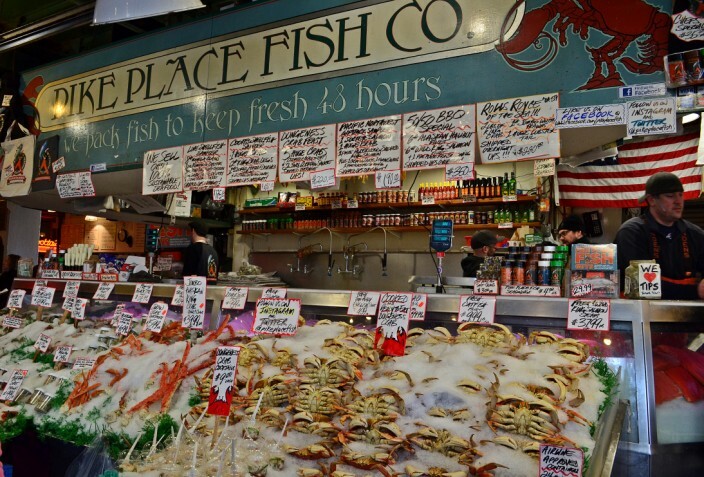 Pike Place Market is always hopping and never dull. Awesome photos Greg! You know I know Seattle as I watch Grey’s Anatomy ha! 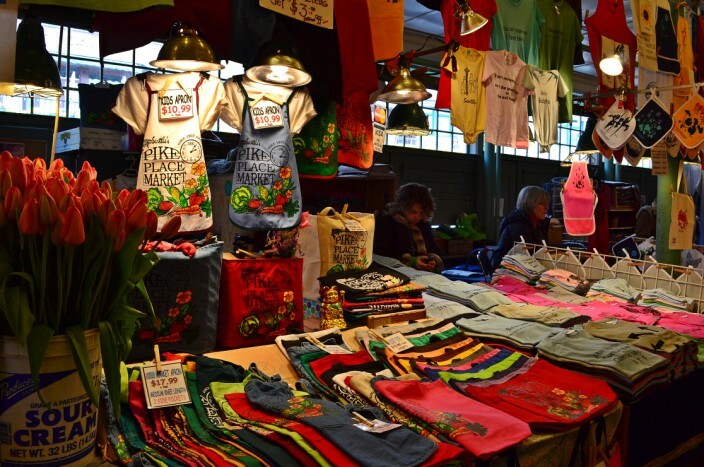 They never mentioned this beautiful market, I always love such markets in every country, very unique. Good post! Thanks for taking the time to visit, glad you like it and yes, if you’re in Seattle you have to come to the market, it’s always great. All the picture are way beautiful. Definitely not to miss place. Thanks for the comment Leigh, yeah the Market is always fun to visit, I don’t get down there much so it stays pretty fresh. And yes, the gum wall really rides that thin line between fascinating and disgusting. Hello. I’m Nikolai. I would like to publish a guest post (with one link) on your great blog – prohltravel.com. 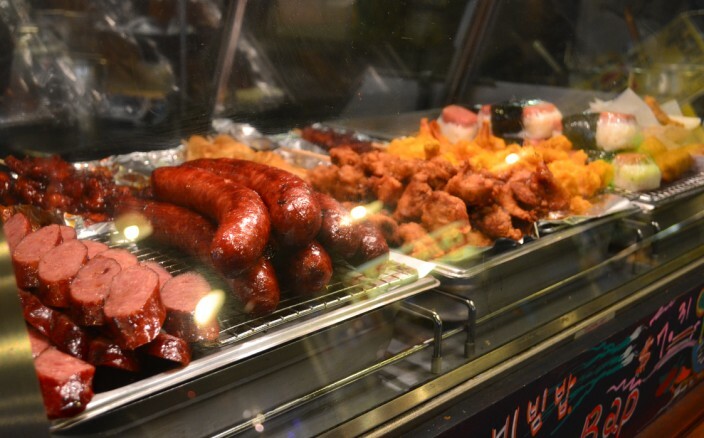 I never tire of a visit to Pike’s Peak Market and sure wish we had one of a similar caliber here in Calgary. 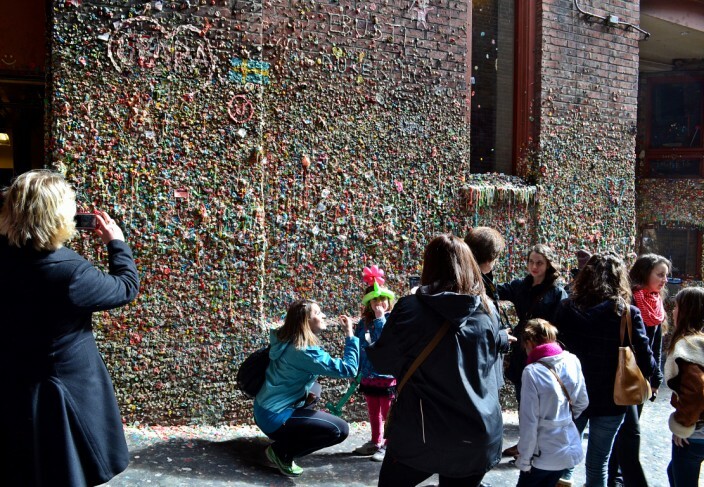 That gum wall is really pretty gross. Somehow I’ve always missed it. Yes, Becky it’s a fun place to visit, if you ever make it out here be sure to drop us a line, we’d be happy to play tour guide for you! Look’s like such a great city I’ve always wanted to visit Seattle.